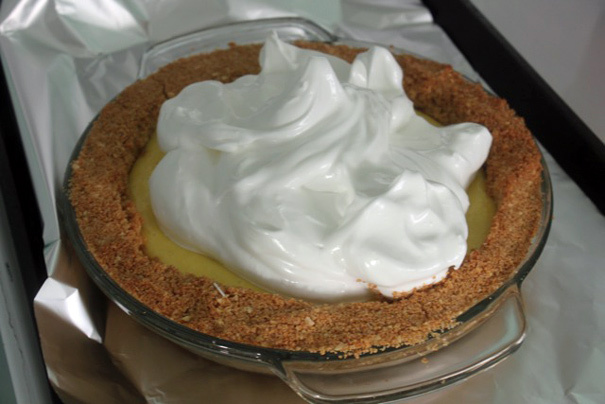 It’s Father’s Day this weekend and no dessert makes me think more of my dad than Key Lime Pie. The association isn’t based on any particular memory; it’s based on a series of memories of dinners at steakhouses or seafood restaurants where my mom would be taking too long tearing apart her lobster, my dad would look impatiently at his watch, until finally he could order his decaf coffee and a slice of Key Lime Pie. It’s not necessarily his favorite dessert–I think he equally enjoys a big slice of chocolate cake with a scoop of vanilla ice cream, or cheesecake (as long as there’s no warm fruit on it: “I hate warm fruit,” he frequently says)–but it’s a dessert he’s always glad to eat. 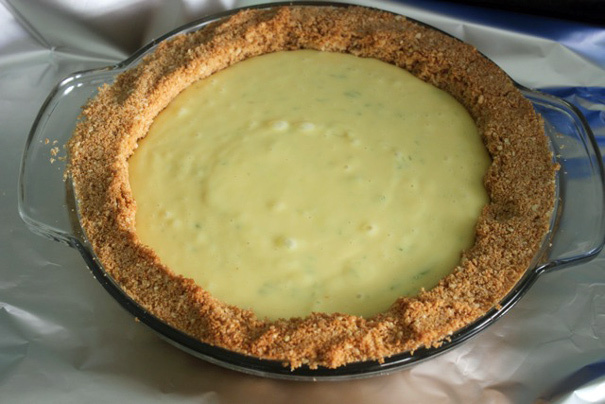 And though I’ve eaten it many times at restaurants, and though I made a frozen one a few years ago for Thanksgiving, I’d never made a classic Key Lime Pie until last week, when I invited my friends Diana and John over to celebrate their birthdays. Note: If I had to do this again, I may have added 3/4ths the mixture and made a thinner crust. This one was rather thick (though delicious). 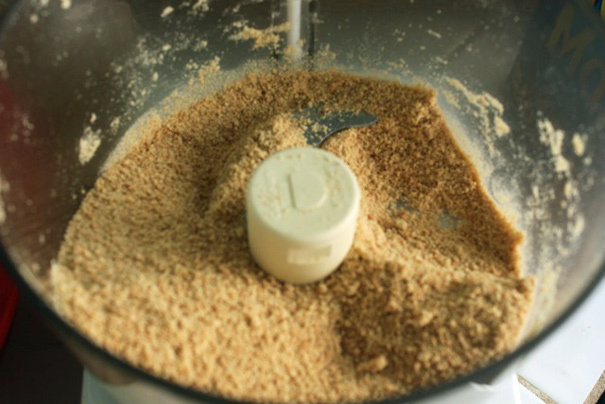 The best way to know is to touch the surface–if it’s mostly firm, you can take it out of the oven (it’ll still be wobbly). Until you get stiff peaks. That’s actually called “the beak of the bird,” something that I learned from Michael Laiskonis when he taught me how to make a chocolate souffle. 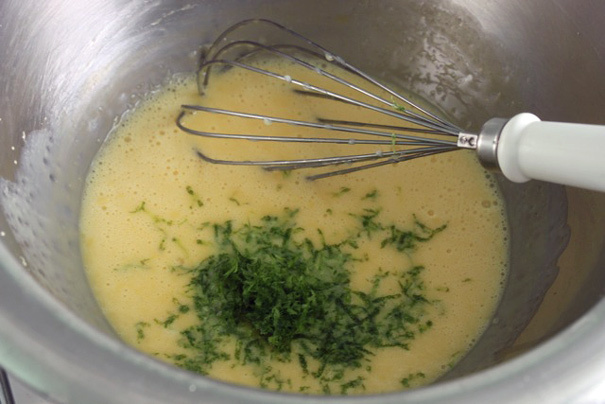 It’s what you see when you lift the whisk out of the egg whites and it hangs there like a bird beak. That’s how you know you’re ready. Then you just refrigerate until you’re ready to serve. I can assure you the taste was top notch. 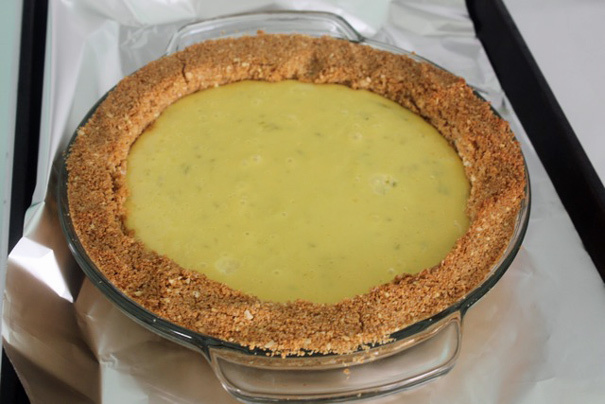 So if you’ve never made Key Lime Pie before, give it a go this weekend. Something tells me your dad, like my dad, might appreciate it. Summary: From The New York Times Cookbook. 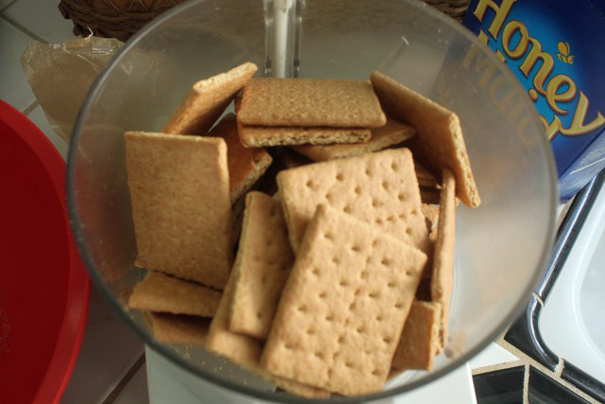 Bake for 8 to 10 minutes. Remove the crust to a rack and let cool. Reduce the oven heat to 350 degrees. 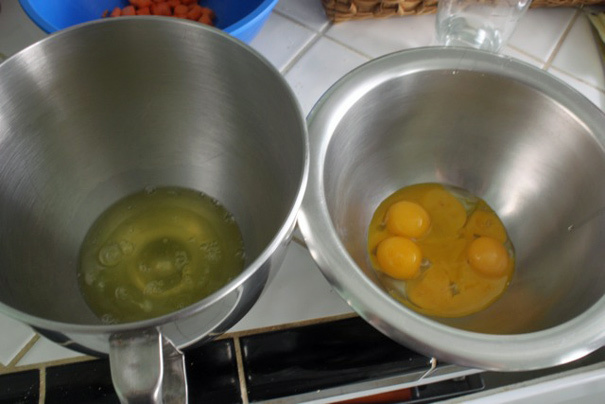 To make the filling, beat the yolks in a bowl. 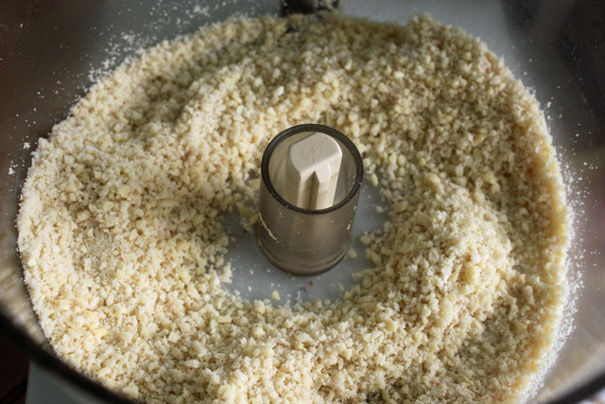 Pour in the condensed milk, stirring constantly. 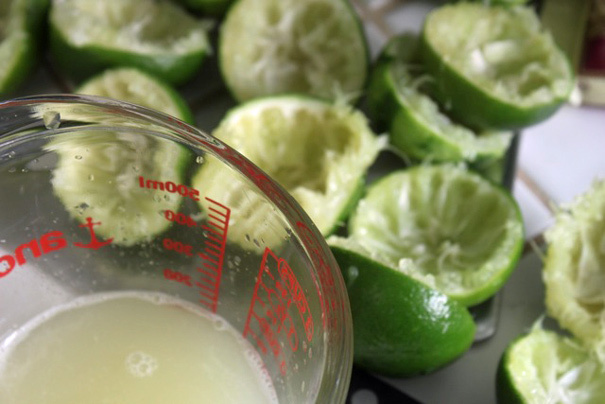 Add the lime zest and juice. 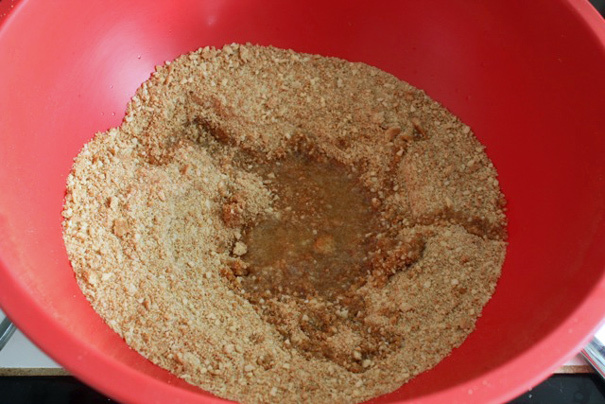 Pour the mixture into the crumb crust. 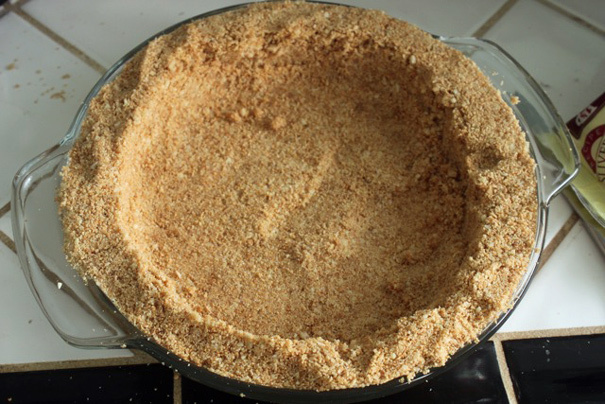 Place the pie in the oven (I’d do this on a cookie sheet, to make it easier to take in and out) and bake for 15 minutes. 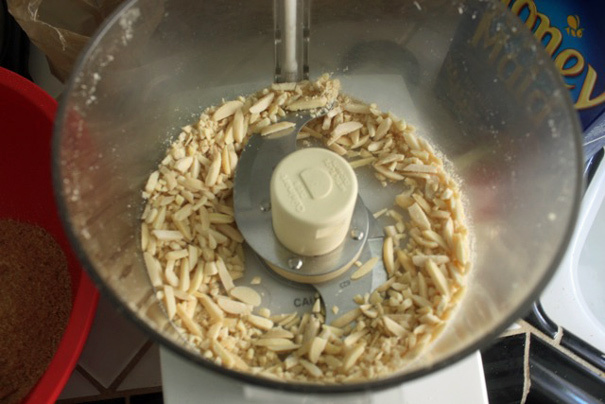 When the filling is mostly firm to the touch–it’ll still be wobbly and sticky–transfer to a rack and let cool. 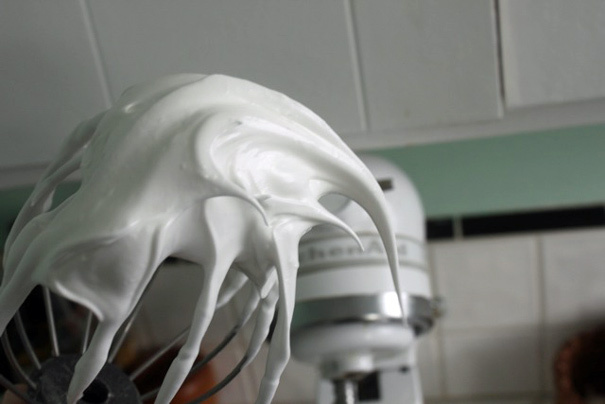 To make the meringue, beat the egg whites until frothy in a large bowl. 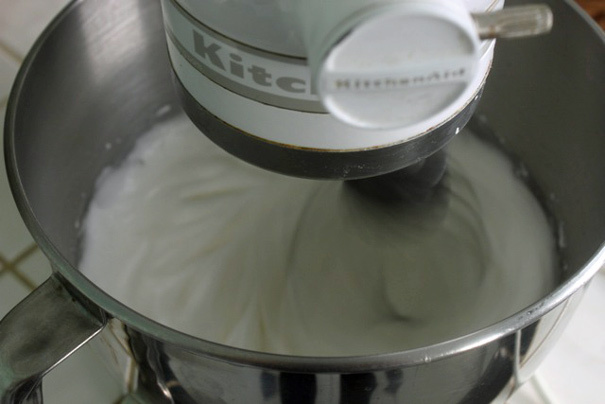 Gradually add the sugar and cream of tartar, beating constantly (at high speed), until soft peaks form. Continue beating until stiff–(look for the beak of the bird: see essay above). 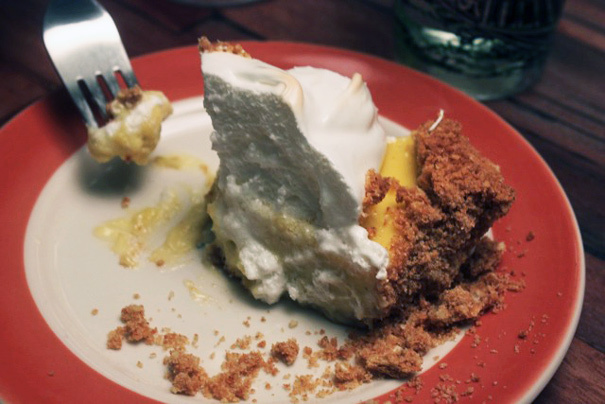 Spread the meringue over the pie, leaving some of the yellow pie filling exposed. 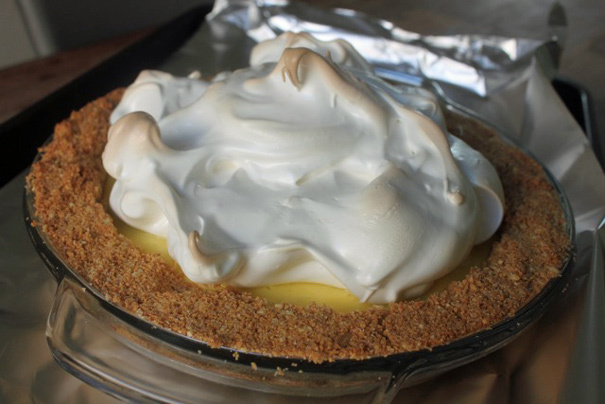 Bake for 5 to 6 minutes, or until the meringue is nicely browned. Remove to a rack to cool then refrigerate. Serve chilled. 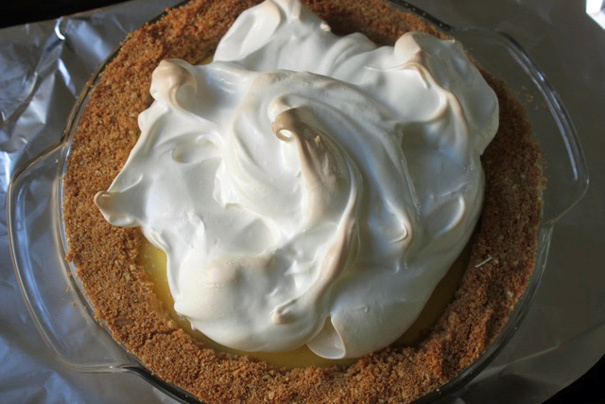 As noted in the post, you can skip the meringue and top the pie with unsweetened hand-whipped cream for a more traditional, less sweet version.